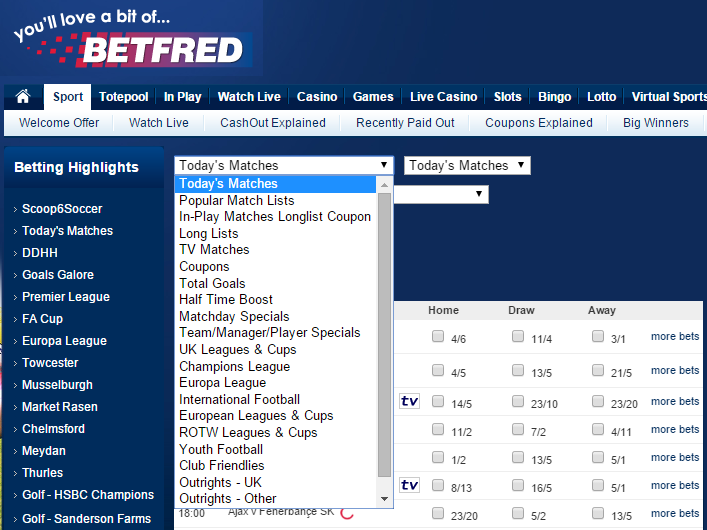 Live streaming of all the best sporting events is now possible with Betfred. 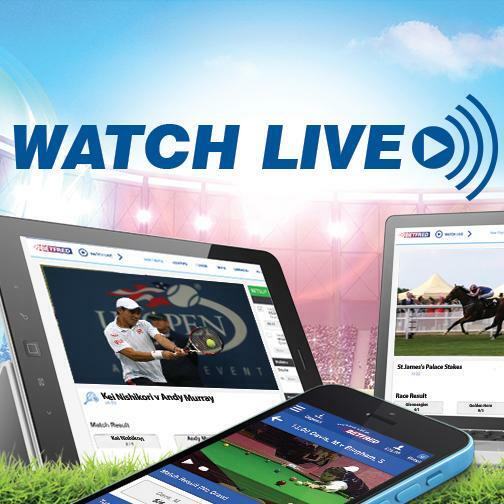 The streaming service is available to any Betfred customers who can now take advantage of video and audio streams, as well as statistical information as it happens. Never be out of the loop, or be unable to follow events as they occur, again! 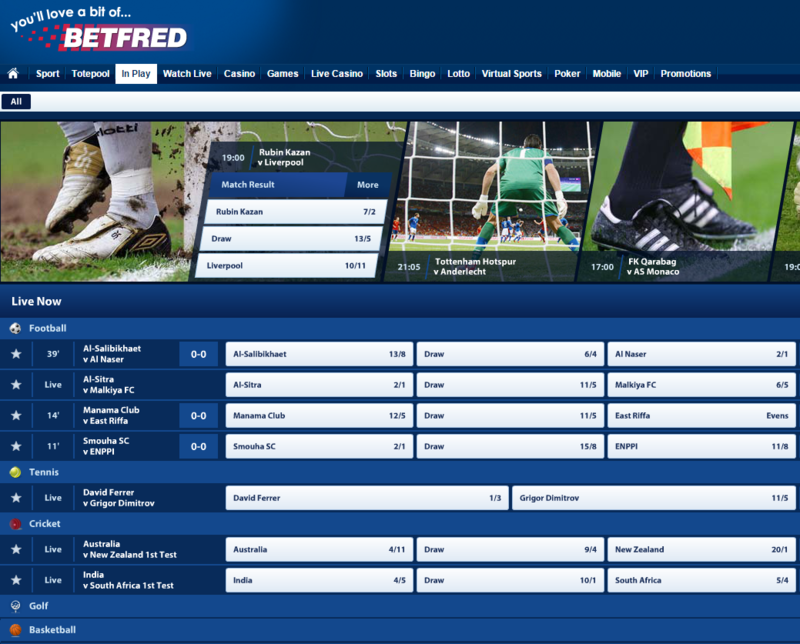 With Betfred, it is now possible to stay up to date with all of your sporting bets, helping to keep you better informed. One of the major advantages of a live streaming service is that you can opt to place a bet at a time that you think is most advantageous. If you think, for example, that your team will come back from being behind at half time, then you can place a wager with Betfred and follow the action as it develops. If you want to bet on the outcome of the next set in a tennis match, or the next player to score a try, then this is all possible, too. The platform allows you to follow more than one sport at a time, so your opportunities for betting are kept open. All that is needed to take up the opportunity for live streaming with Betfred is an Apple device or one that runs the Android operating system. Either way, users simply need to download the Betfred app or log into the website and live streaming can begin within moments. This means that you can keep up to date with one event on your tablet at home, whilst watching another on the TV. Alternatively, the streaming service can be delivered to your smartphone whilst you are out and about. Rugby league, football, cricket and tennis are all included in the Betfred streaming service. Although many of the best UK sporting events are covered – such as Wimbledon, the Premiership and England cricket test matches – numerous overseas sporting events are also streamed. You can keep up to date with rugby league fixtures down under, for example, or follow some of the minor tennis tournaments on the tour, as well as Grand Slam finals. Many of the best European football club matches are streamed, too, including the German Bundesliga and La Liga, in Spain. Other popular sporting events which you might like to bet on are also subject to the streaming service. These include basketball matches, snooker tournaments and darts events, to name but three. Given the often packed sporting schedule at the weekend, finding the match or event that you want to stream means thinking in advance. With the Betfred streaming service, all of the upcoming streams are held in a calendar which is easy to navigate and helps you to create your own schedule so that you never miss anything. If you want to keep an eye on the semi-final of a knockout snooker tournament whilst following the busy Saturday football schedule, for example, then it is easy to do so. The in-play streaming scheduling tool means you can plan your viewing up to seven days in advance.